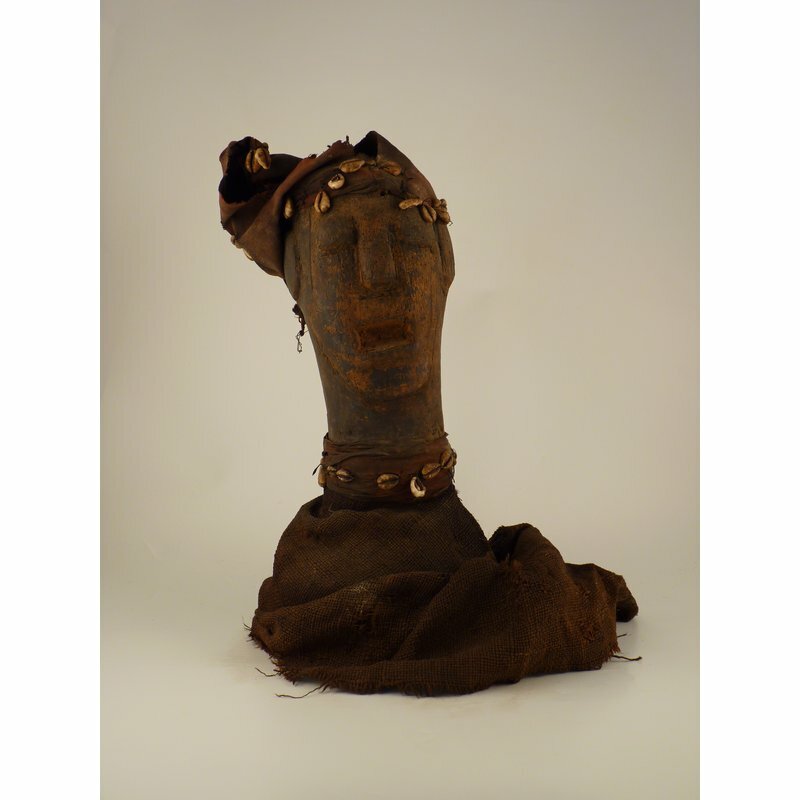 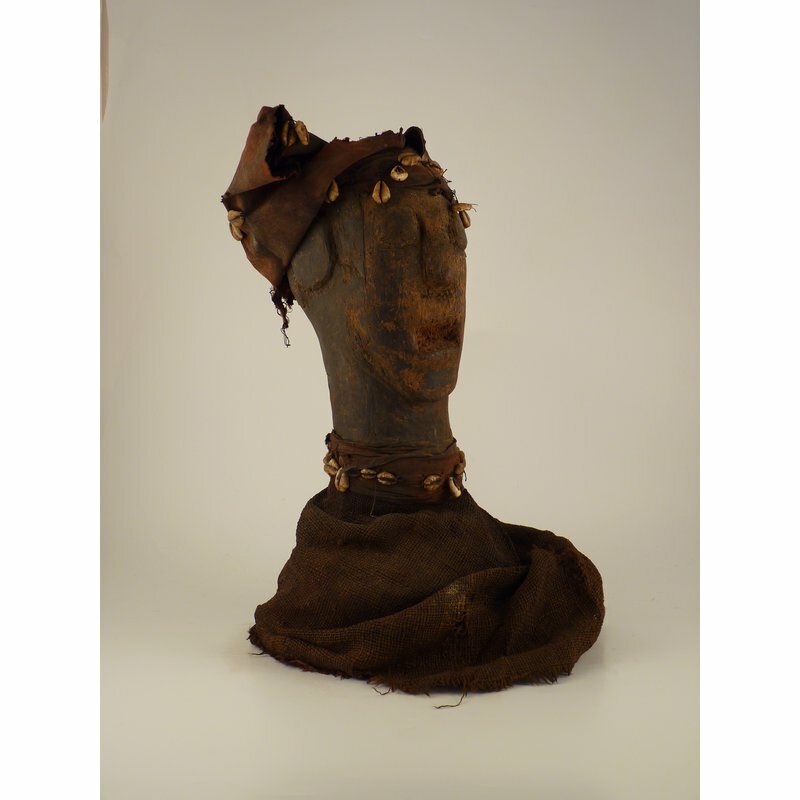 An unusual carved bust wearing a shoulder cloth and head tie of stained red cotton, decorated with cowrie shells. 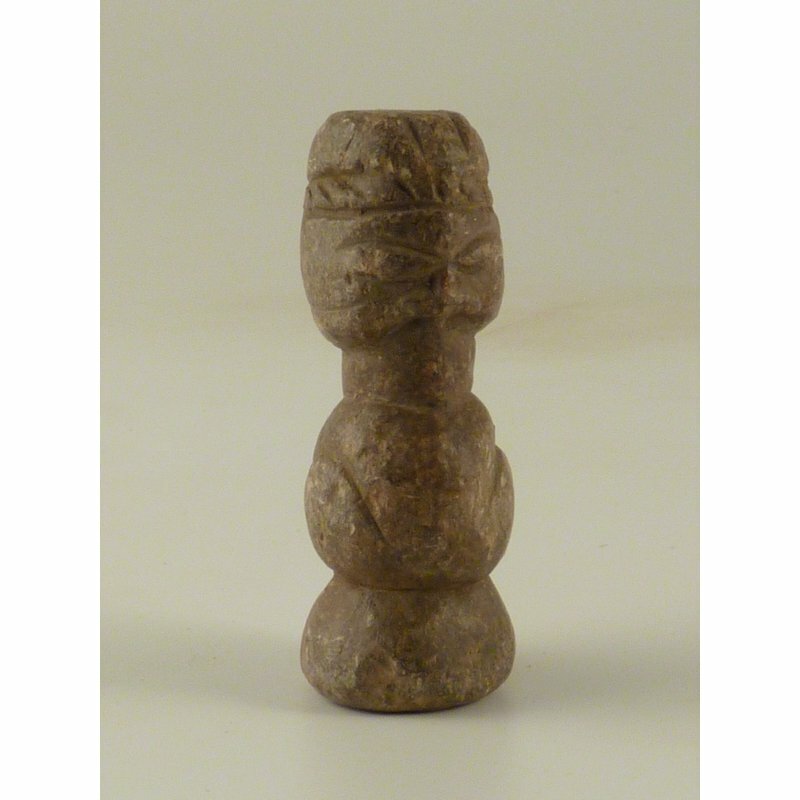 It resembles a Kissi, or Kisi, reliquary for a pompta or nomoli, similar to that found in the Glasgow Museums collections (GLAMG:A.1985.13.bk), although it does not have the same distinctive segmented neck. 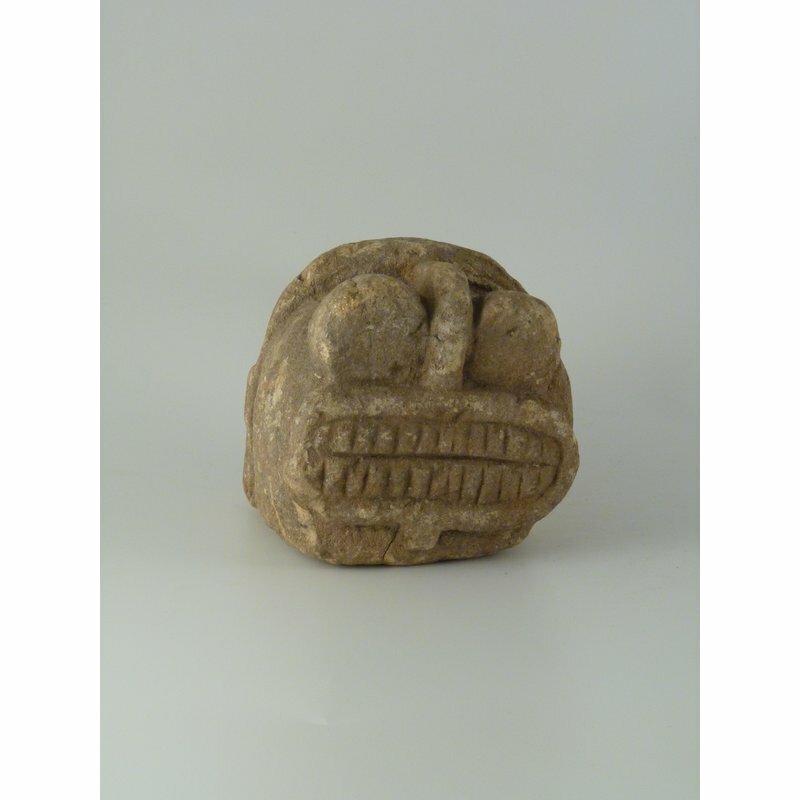 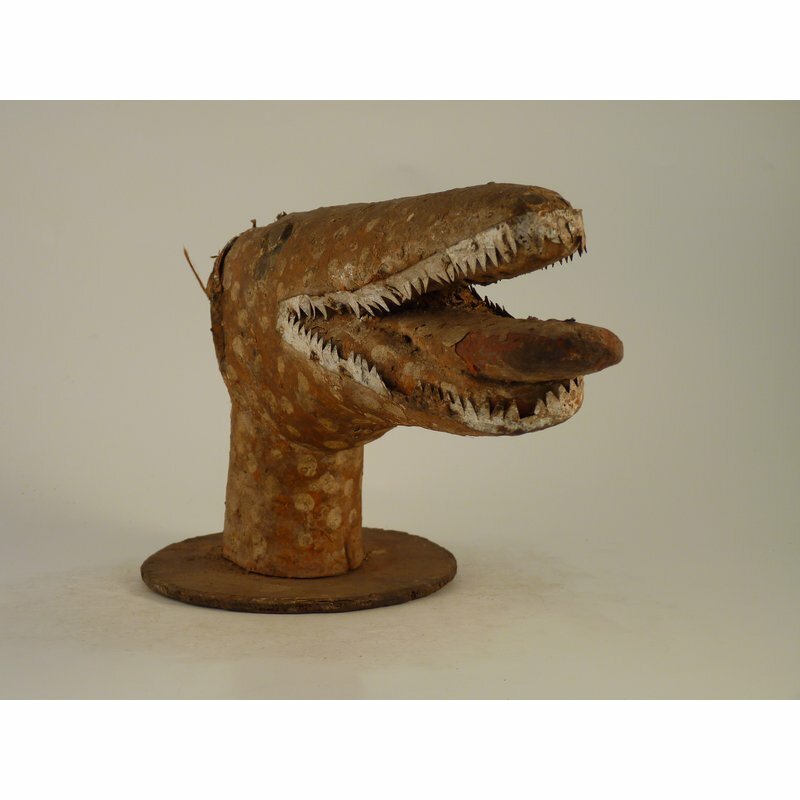 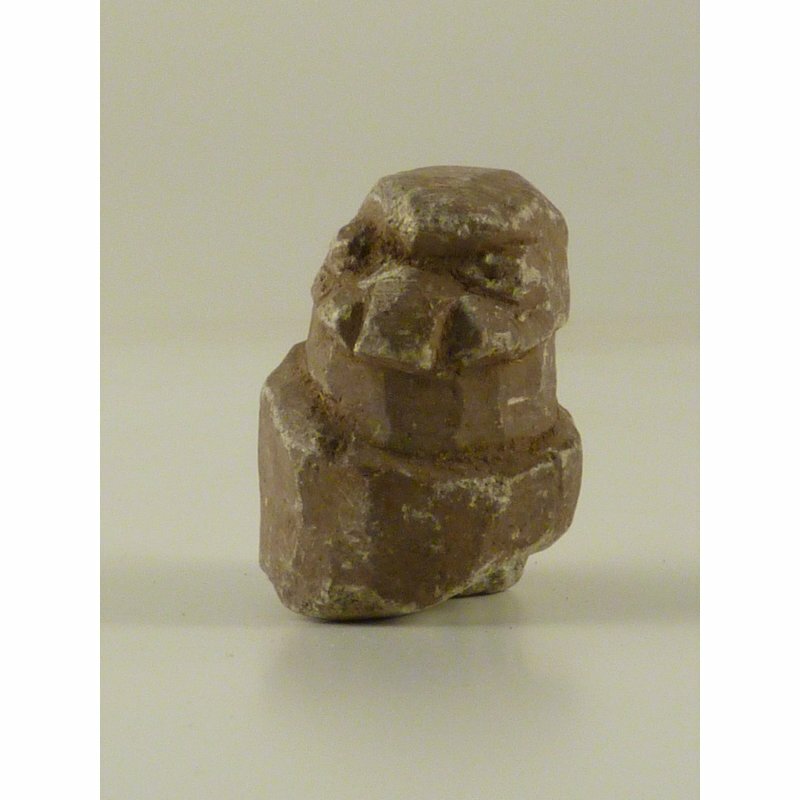 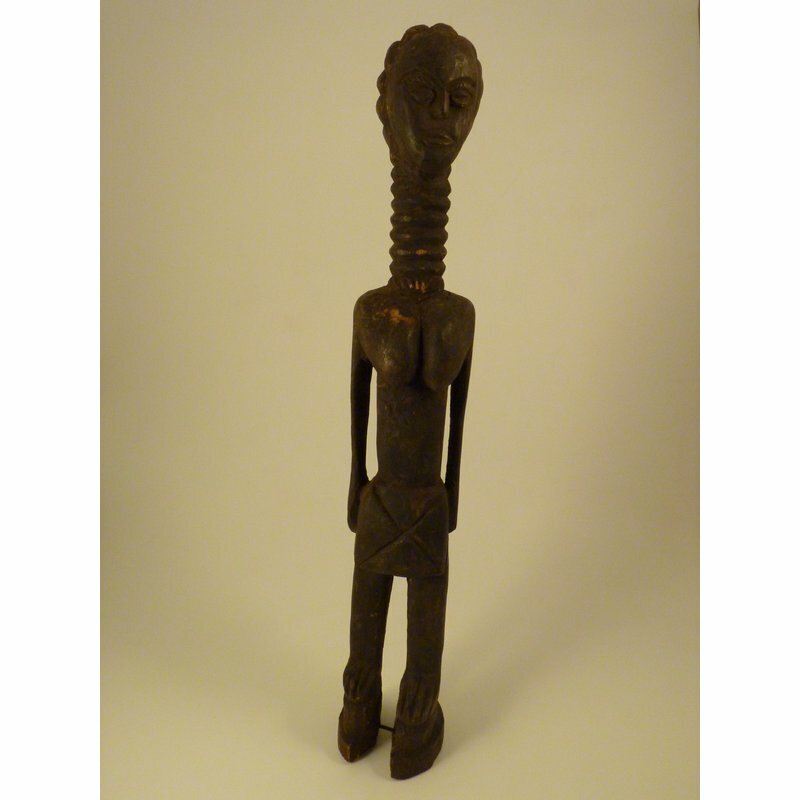 The Sierra Leone National Museum records describe it as a Juju figure, known as a yaibai.